1 3/4" x 1/2"/2.76 oz. 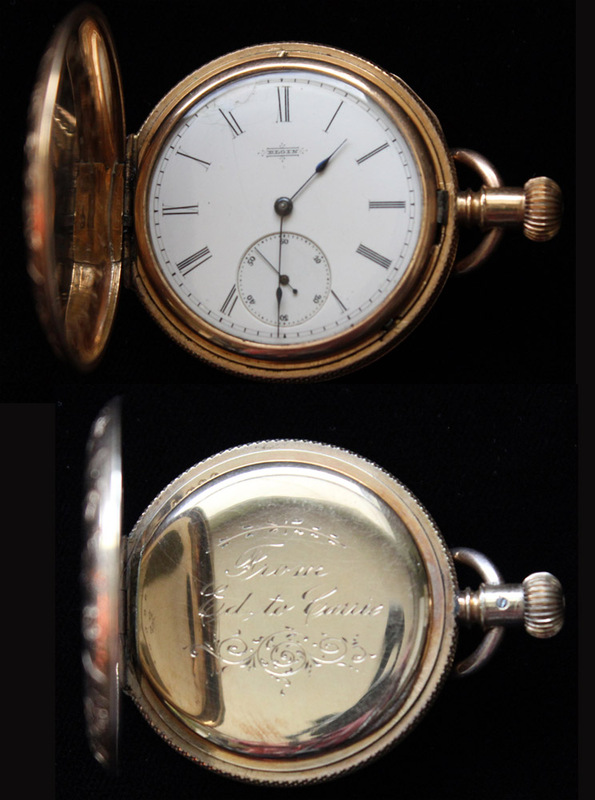 Made by the USA Elgin watch company in 1882, this watch bears the hallmark of a crown above scales, which denoted that the 'rolled gold' was of their highest quaity and was guaranteed for 30 years of use. There is an inscription on the inside cover that reads 'From Ed to Carrie' This is a old family piece and I have no idea who either of them were, but Carrie may not a have appreciated a men's-sized watch as it shows little to no use. Recently refurbished to 'like new' condition, it runs great and is still in it's original velvet-lined box. Click the images tab for more photos.